Markus Windegger was born in 1991 and lives now in Ulten (South Tyrol). His field of interests are principally Software-Engineering, theoretical Computer Science, IT-systems in transportation companies and programming in different program languages and concepts. He studied at the technical college in Meran (2 years), switching to the technical college in Bolzano for graduating in industrial computer science with his project “Miniwelt” (www.mowiso.com). Currently he is studying Theoretical Computer Science at the University of Pisa. Thanks to an internship at the Servizi St (SAD, 2009 / 2010) and during the “Week of mathematics modeling 2010” in Tramin, his interest with transportation companies has grown. 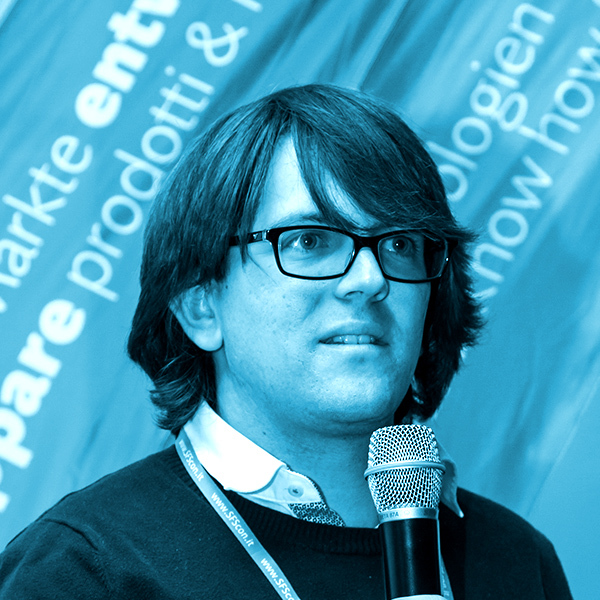 In 2010 he starts to develop and to maintain the website of the project “Lipo – Jugend schreibt” (www.lipo.bz.it) and the “NVS” (managing valuations of the school) for the technical college in Bolzano. Since December 2011 he develops the project SASAbus and from july 2012 he works for SASA SpA-AG.